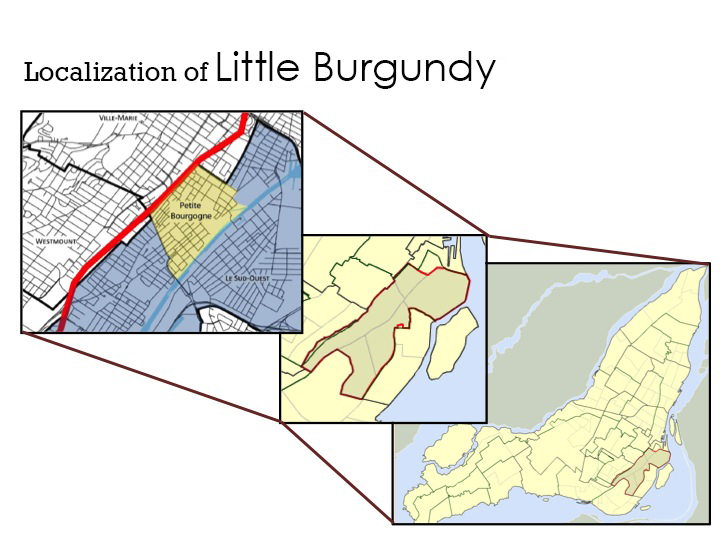 Little Burgundy’s borders are formed by the Ville-Marie Expressway to the north, the Lachine Canal to the south, Atwater Street to the west and Guy to the east. It’s certainly one of the most multicultural neighbourhoods on the island of Montreal, with over 80 different ethnic communities represented. The neighbourhood’s socioeconomic profile is equally varied: the northeast corner is one of Montreal’s disadvantaged areas, while the southwest is fairly affluent. The neighbourhood is also distinguished by its numerous parks and its proximity to downtown Montreal. Source : Statistics Canada, 2006 and 2011 Census. Source : Statistics Canada, National Household Survey, 2011.